Adding to a firestorm of rumors surrounding Apple's supposed electric car project, a report on Thursday claims the Cupertino tech giant is gunning for a manufacturing start date of 2020. Apple's mystery van seen up-close in California. Citing sources familiar with Apple's plans, Bloomberg reports executives are pushing internal development teams to start first production runs of an electric vehicle in five years, an aggressive goal even for established car manufacturers. The person confirmed that Apple is hiring a specialized team for the project, supposedly codenamed "Titan," including experts in batteries and robotics, but says the number is closer to 200 people, not the "several hundred" as previously rumored. A report last week pointed to a number of recent automative sector hires, including Mercedes R&D head Johann Jungwirth, while other recruiting efforts are focusing on engineers from electric car maker Tesla. Speculation as to what Apple has planned ranges from in-car infotainment software to a full-blown branded vehicle. The source qualifies their claims, however, noting the secret "Apple Car" initiative could go the way of previous skunkworks programs and disappear before seeing the light of day. For example, Apple could decide to scrap the project if higher-ups don't find results meet the company's strict standards of excellence. According to today's report, Apple could enter the automotive industry as a category disruptor, a tactic that brought unparalleled success with iPhone and iPad. Stoking the flames is a recent lawsuit that alleges Apple poached key employees from battery maker A123 Systems, a firm known for engineering high-performance lithium-ion energy storage components for electric vehicles. 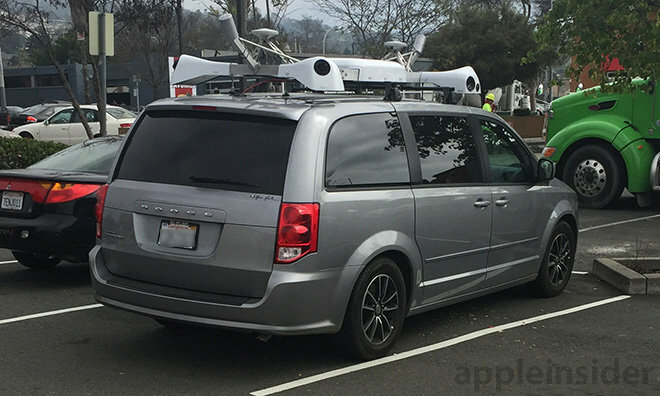 Rumors of Apple's top-secret Apple Car lab heated up earlier this month when mysterious vans stacked with what appears to be high-tech surveying equipment were spotted in the San Francisco Bay Area. Some suspect the Dodge Caravans are testbeds for an autonomous self-driving car program, though it is more likely that the instrument-laden cars are part of an advanced mapping initiative similar to Google's Street View.